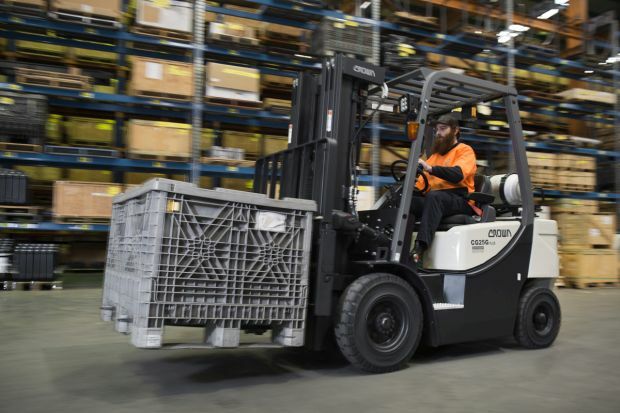 Revisions to Crown Equipment’s entry-level internal combustion-engined 2-3 tonne forklift range have improved its performance, appearance and ergonomics. The new GX Plus Series, which offers diesel and LPG engine choices, comes with a completely redesigned counterweight for improved airflow to maximise cooling capacity. The redesign also modernises its appearance. The updates have also made it easier for drivers to monitor the functions of GX Plus Series forklifts, with a new instrument panel displaying coolant and transmission oil temperatures, fuel level and operating hours, oil pressure and alternator voltage. The GX Plus Series retains the 3.3-litre Yanmar ‘Tier 3’ diesel engine that produces 44 kilowatts of power and 181 Newton metres peak torque at a low 1600rpm. The 2.5-litre Mitsubishi LPG engine, which develops 46kW and 181Nm, is also retained. The improved cooling capacity, combined with a dual-element air cleaner, helps both engines provide reliable performance between service intervals. Both engines combine with a rigid transaxle and single-speed Powershift transmission for low maintenance costs. The GX Plus Series’ improved instrumentation adds to the sound ergonomics in the comfort and productivity-focused cabin, which features generous legroom, ergonomically-located pedals, low cowl height and overhead guard designed for visibility and an adjustable-reach steering column. Crown’s director of sales and marketing Craig Kenchington said the GX Plus Series’ revisions, combined with Crown’s renowned Australia-wide service levels and spare part support, help keep it the go-to choice in entry-level forklifts. “The GX Plus Series offers the level of reliability, performance and operator-focused ergonomics typically available from Crown, but at an entry price that makes it attractive to companies that don’t run their forklifts all day and might otherwise be considering a second-hand unit,” Mr Kenchington said. 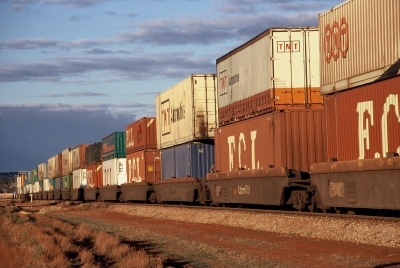 “Its improved ergonomics have made it a stronger proposition for both operators and owners whilst its improved cooling performance makes it better suited to working in hot Australian conditions. “The GX Plus Series’ well-regarded diesel and LPG engine choices, bulletproof drivetrain and task-focused cabin mean it’s a serious proposition that can help make small businesses into bigger ones,” he said.